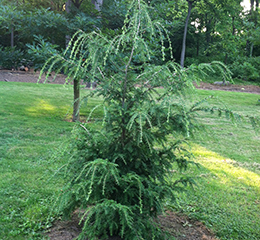 Hemlocks are lovely trees but the use of native species has been tempered by three debilitating pests: Hemlock Wooly Adelgid, Spruce Spider Mites and Elongate Hemlock Scale. 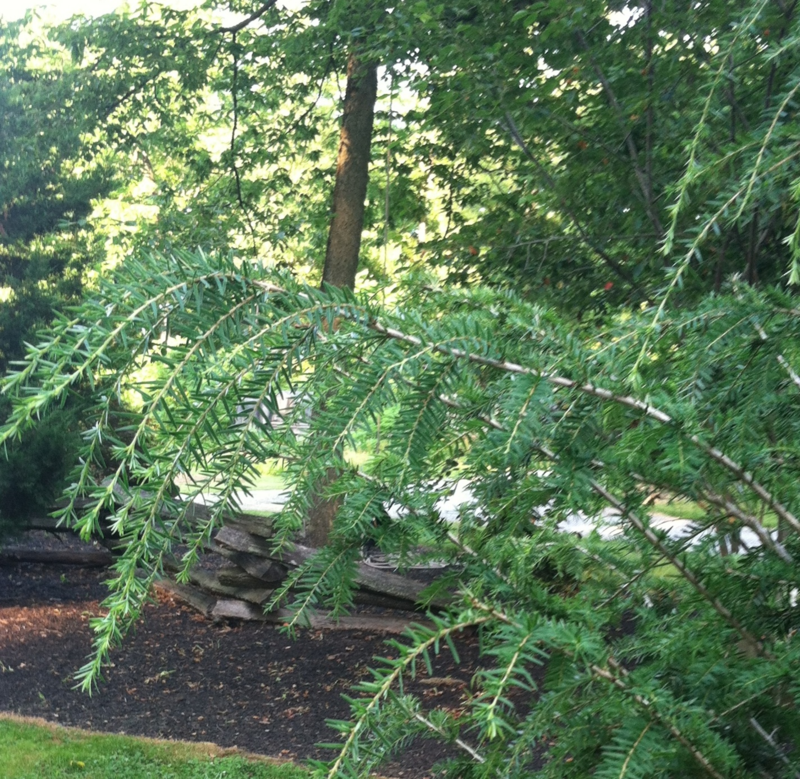 Chinese Hemlock has shown resistance to all three pests, especially Hemlock Wooly Adelgid. 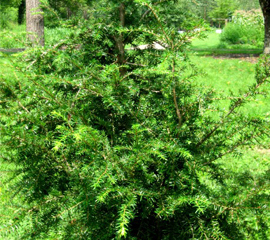 Compared to Canadian Hemlock, the habit is more relaxed in the growing season and more rigid in the dormant season. Leaf color is a glossy dark green. Growth rate is fast. 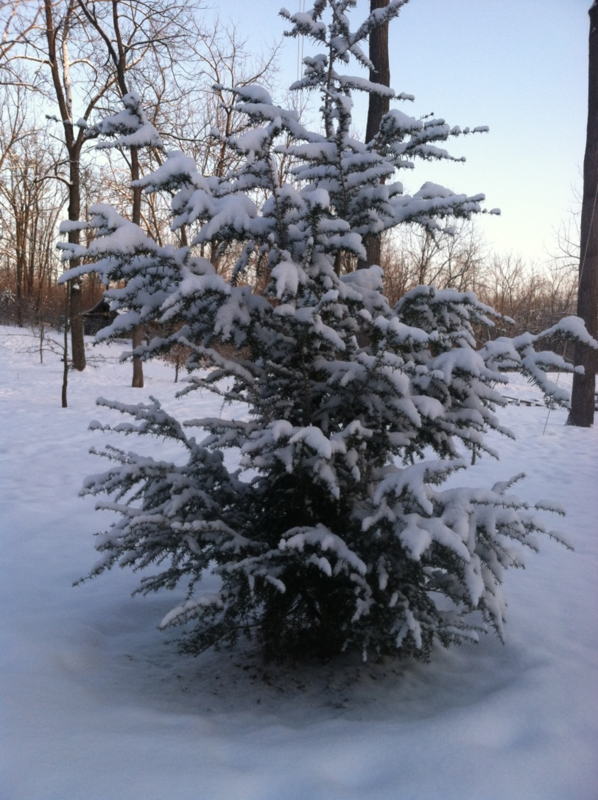 Tolerates landscape conditions well. Grows in sun or part shade. An all around, good, vigorous performer.